As a new driver you will need to pass the Driver CPC theory and practical tests in addition to the licence acquisition theory and practical tests, if you intend to drive professionally. Once you have passed these tests you will also need to complete 35 hours of periodic training every five years to continue to drive professionally. This is a computer based test and uses case studies, each one based on real life scenarios you may encounter in your working life. It aims to test your knowledge and how you put it into practice. Each test is made up of seven case studies, each one with six to eight questions with a maximum score of 50. The pass mark for the LGV test is 38. The test will take 1.5 hours to complete and will take place at a DSA test centre. LGV tests may also use a piece of equipment which will allow you to demonstrate your ability to secure loads. The test consists of five topic areas which cover the Driver CPC syllabus and in order to pass the candidate must score 15 out of a possible 20 in each topic area (75%) and an overall score of 80%. 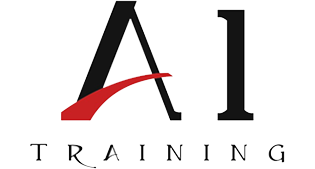 A1 Training offers full support for these CPC modules, booking tests at DSA test centres and providing essential training and resource materials. On successful completion of the initial CPC qualification, drivers will automatically be issued with their Driver Qualification Card (DQC).